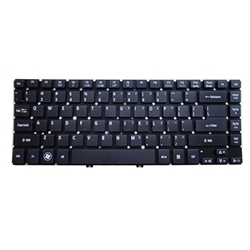 Description: New original Acer Aspire ultrabook replacement keyboard. This keyboard does not include the frame. We recommend purchasing the framed keyboard for easy installation. Installing this keyboard involves removing the old keyboard from the frame. If you have any questions about this please contact us. Compatible Part #'s: 60.M3BN1.031, MP-11F73U4-4424, 6M.4TUKB.095, 904TU07O1D, NKI141301S.